I just wanted to let you know how happy I am with the furniture and how pleased I was with the way your men helped. Nothing was too much trouble!! I was left with what started as a bare, lifeless home, to a now very cozy accommodation. Such professionalism and so hard working! I would definitely use your company again and certainly would request the same men to help. Please pass on my thanks. I would like to say thank you for supplying the furniture and a special thank you to the 2 guys who attended they were absolutely great, very polite and were very clean and tidy workers a credit to your company. I have been very impressed by Let Us Furnish. Their quote came in about £1000 cheaper than another company I was recommended and the service was excellent. 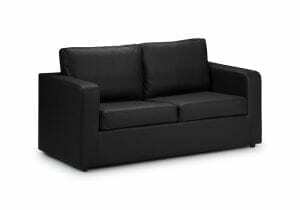 The delivery guys were quick and friendly and I am very satisfied with the quality of the furniture. Let Us Furnish will definitely be my go-to supplier for future properties and I would definitely recommend them to other Serviced Accommodation operators. The team were fabulous. They worked so hard, were so courteous and polite, and the furniture looks fab too. were once again with the service received from your delivery team. Both were super friendly, approachable and so helpful. arranging the finance to make our deliveries possible in the first instance. The furniture is new, so I cannot comment on its durability, but the service was excellent. I could speak to real people on the phone, who answered promptly. The furniture was delivered exactly on time and the drivers had even brought a choice of coffee tables to ensure that it was a good match for the other items of furniture. Very impressed. Professional as ever! Would definitely recommend. Reasonable prices and they take care of everything so there’s no hassle or stress, just be there for delivery and leave the rest to the pro’s! Have used the services myself and recommended Let Us Furnish to many of my clients. Super customer service from the guys in the office and the guys who come out on the road to deliver and install the furnishings. Highly rated suppliers in my opinion. Have used Let us Furnish a number of times and on each occasion have found them to be very efficient, great value for money and very friendly. I would not hesitate to recommend to others. Fantastic Service! Excellent company to deal with from start to finish. Staff are great, from customer service to delivery guys, nothing is too much trouble. We have used them on several occasions and will continue to do so in the future. We Would Highly Recommend them to anyone and have confidence in doing so. Thank You for making our lives easier! We received excellent service from Let Us Furnish on our 24 bedroom project. I would definitely use them again. I just wanted to email to say that your delivery drivers were absolute stars yesterday. We have had unprecedented numbers of void properties this week and coupled with no lift your staff went above and beyond with the deliveries. I have to say that your drivers are always excellent and we are used to having a very good service from them but yesterday was exceptional. Staff have emailed me to say that they would not have got everything done if it wasn’t for your delivery drivers. I would like to add my praise about the service Teifion and his team at Let Us Furnish deliver. I have just kitted out my 5-bed HMO with the professional range and was impressed how easy it was. Superb products at great prices, friendly and courteous delivery guys who arrived at 08:30 in the morning so no hanging around waiting for deliveries,( key box not installed yet) ! They assemble all the furniture then and take all the packaging away with them. Job done in an hour. When we urgently needed furniture for a rented house after our home was flooded, Teifion and Let Us Furnish provided a great service and an ideal package, even though we were individuals who would hopefully not be repeat customers. The furniture arrived on time with a friendly, efficient delivery team and the quality of the furniture itself was just right for our needs. Teifion and his team have been extremely understanding, pleasant and helpful and we would recommend Let Us Furnish without hesitation. We have been using Let Us Furnish for over 7 years to supply our furniture and furnishings. We have found them to be extremely reliable and efficient, and whatever we have asked them for they have been able to source and deliver for us in a timely manner. Their team of people from office to delivery are courteous and are always willing to go the extra mile to assist us. We often find ourselves requiring furniture very quickly and Let Us Furnish always do their very best to meet our deadlines. I would have no hesitation in recommending Let Us Furnish, and hope that we will continue to do business with them in the future. I have now used Let Us Furnish to fully fit over 200 of our apartments in our Swansea and Barnsley Developments. The quality fo the service and the responsiveness of the team are second to none. I would have no hesitation in recommending the service of teifion and his team at Let Us Furnish. When I first approached Let Us Furnish to help us fully equip our new 7 bed residential care home I had some reservations as to their knowledge of the residential/nursing home requirements and their ability to provide a bespoke service. Following our success with this first project I am delighted to say we have used Let Us Furnish for our new 26 bed Nursing home, 9 bed extension and further on going refurbishment work. 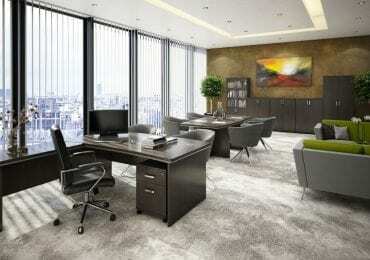 The service they offer from the start of the project to finish has been extremely professional, products have been of a very high quality and delivery on time every time. Their staff are always pleasant, friendly and helpful at all times. It has been a pleasure working with Teifion and his team at Let Us Furnish. We have been using Let Us Furnish to supply the furniture across our whole portfolio for over 6 years now and it has been a pleasure doing business with them. From the initial order through to the delivery, the service has consistently been one of the best we have had from any of the suppliers we use. Having Utilised the services of ‘Let Us Furnish’ for a number of years, we find them extremely efficient particularly when the need arises for an immediate response when accommodating our clients needs. A quick turn around is required, particularly when dealing with rental properties, and ‘Let Us Furnish’ always delivers. 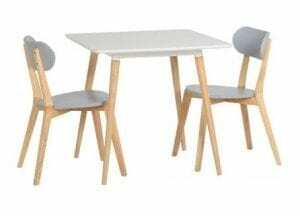 As a partner in the largest rental agents in Wales, I am happy to highly recommend their services to anyone who needs to appoint a furniture provider, whether it be for the finishing touches or a complete design service. We have used LetUsFurnish for 2 years. We have always been impressed by the efficient and friendly service, from enquiry to final delivery and after care. Teifion is knowledgeable and helpful – he has really helped when rooms have been tricky e.g. low ceilings, winding staircases. His teams of delivery men are always cheerful and they make it easy to arrange delivery times. The quality of furniture has suited our HMOs and so the rooms look inviting and as comfy as home. LetUsFurnish has given us outstanding service. Let Us Furnish is our go-to supplier for all of our furniture needs. They have helped us furnish eight HMO and rental properties so far, and each time the service has been impeccable. They are friendly, efficient, and most important, very reliable. The team are also really helpful in giving advice about how to arrange the furniture so it looks best in the space available… they always go above and beyond. We recommend them to all the landlords we know, and will continue using them into the future. Great people, great service, and great products. Exactly what we are always looking for! Hi im Rick Gannon and I’m a full-time professional Landlord, One of the biggest problems for me when Im renovating a house or HMO is time, sourcing furniture then having to wait for it to be delivered then fumbling around trying to construct it really isn’t productive. The great news is that I found a superb company that does all of this for you! Let Us Furnish are a god send! 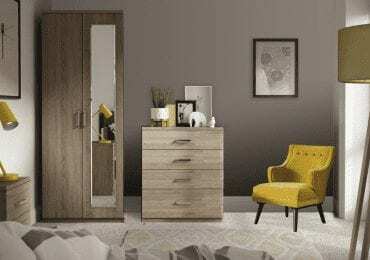 they were recommended to me from another property investor and since using them I have never looked back, they have an amazing range of furniture that range from budget to high end, you just choose what you want from the website and thats it! The brilliant friendly team will deliver it to your property, they will construct it and put it in place, take away all the rubbish and they manage to do this in less than half a day!. Most of the time I don’t even have to be there! Having worked with Teifion and Let Us Furnish over numerous projects, I can thoroughly recommend both the quality of the product and their commitment to excellent customer care. This was from providing the ease of ordering to delivery and installation of the furniture, they provided exceptional, personal service. We used Let Us Furnish to stage a property that we had for sale. A small development of 4 flats with the furniture being used to create a show flat. The service and the quality and look of the furniture surpassed my expectations and our humble 2 bed looked absolutely stunning. The first person to view the flat offered on it and we ended up purchasing the furniture as the buyer wanted to buy it fully furnished. Great service – thanks to all the team at Let us Furnish. 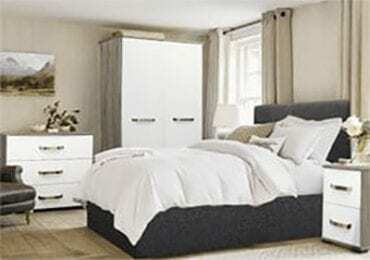 We have furnished all our HMOs through Let Us Furnish. Teifion has been patient and flexible when we’ve over run and had to amend delivery dates – especially when doing our first few! Being an investor himself, he’s given us good advice and made our life much easier. He’s also furnished a show flat too. We feel safe and secure knowing we are using a company that can be relied upon for great service and reliability.